The Bob Lucido Team is the #1 Keller Williams team in the world, comprised of over 150 real estate professionals. Bob didn’t set out to be the #1 team. He set out to be the most respected team in the nation. That integrity and vision is what has driven his growth and maintained his status as a top producer. Bob had three goals from the very beginning. Becoming the most respected team in the nation means building a community of partnerships. It means hiring strategically and then adding as much value to those agents as possible. To meet two of his goals (have fun and make money) that means providing his agents with the best technology, tools, and company culture. BoomTown made it possible for Bob to attract top talent. With a robust system of expert lead generation and management, he had a pipeline in place to show potential hires. Every day his team takes advantage of tools like the NOW Opportunity Wall, which prioritizes the hottest leads in real time based on the lead’s actions. They take advantage of SmartDrip texting and emailing, which automates their lead follow-up, allowing personalized communication at the most opportune time – without the grunt work. Are they coachable and willing to learn? Do they have integrity? Will they do the right thing? Do they have the “tiger in their eye”? Are they passionate and driven? So you’ve got the foundation in place, you’ve made the right hires, and your team is growing. As a leader, agent accountability and communication now become paramount if you want to become a top producer. With technology from BoomTown, Bob has a tool for agent accountability right in his back pocket. The Leaderboard lets you know how your agents are performing – by the numbers – so you can celebrate successes and encourage improvement for those who are falling behind. Daily activity reports put everyone’s to-do’s right at your fingertips, keeping agents accountable for their lead follow-up. Never let an opportunity fall through the cracks. You can’t go too far in the state of Maryland without seeing Bob – and all of that exposure has helped to build his ironclad brand. They advertise in baseball fields, soccer fields, the back of moving trucks, TV, radio, print, direct mail, movie theaters — they even advertise in church bulletins. If you refer somebody, they’ll donate $1,000 back to that church. Good business with integrity. With BoomTown, The Lucido Team has a built-in digital marketing partner. The absolute best search, display, and mobile advertising are constantly in gear. They have a sleek and effective consumer-facing website, built to convert more high quality leads. He has a team of expert digital marketers in his corner, working to get the absolute lowest cost per lead and the absolute highest ROI from his ad spend. What’s the best business advice that Bob Lucido has ever gotten? Test everything. Throughout his 40+ years in the industry, Bob has understood that a prosperous business needs to be proactive and adaptable. It’s how he’s managed to become the #1 KW Team in the world. Real estate is a dynamic industry, and the tech landscape is always shifting. Understanding this, The Bob Lucido team invested in technology. BoomTown tests and tracks everything from lead interaction to ad performance, website traffic to email and text communication. 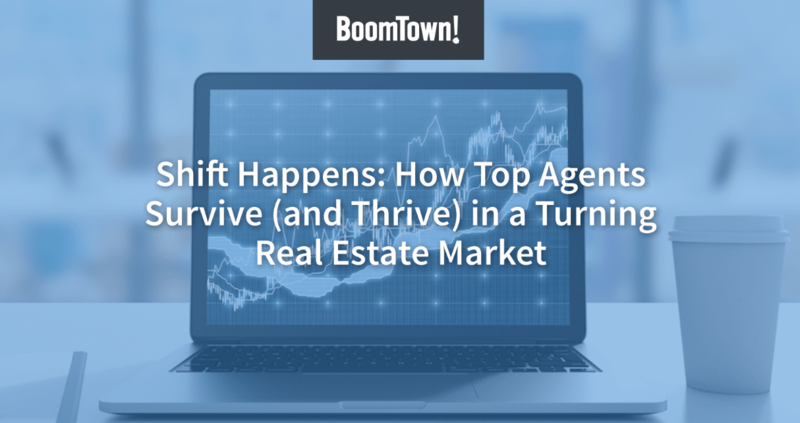 Using data intelligence, BoomTown instantly matches the right buyers to the right properties. Before BoomTown, someone on Bob’s team had to do this one by one. Based on their volume of leads this would take an entire day. With countless other automations, the technology maximizes productivity while freeing up time for agents.